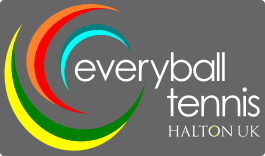 Welcome to Everyball a series of reflections, anecdotes and observations from a life in tennis that aim to tool you up for the game of life. It's most certainly a book for the tennis coach, parent, player and enthusiast, all of which I am incidentally, but also for anyone interested in taking some lessons from sport and applying them to the wider context of our everyday. Hopefully that means you and my sincere wish is that you will enjoy and be inspired by the pages to come. On his return from work my Dad would issue the same order to me most evenings throughout the school holidays as he surveyed the array of tennis, cricket, football and rugby balls strewn across his beloved lawn and in my mother's beautifully tended flower beds and rockeries. But perhaps more importantly, and giving clues to my own future profession, the very same expression was also often used by my various teachers and coaches as they cajoled and encouraged us on the field of play. Those two words, 'every' and 'ball' morphed into one to slip off the tongue and everyball soon became deeply embedded into my psyche. In 1996 I became the County Performance Officer for Buckinghamshire's Lawn Tennis Association with responsibility for developing the County's top juniors. First on the 'to do' list was to produce a uniting call to arms and of course everyball just had to be at it's core. Refer to it as an ethos or a philosophy (I simply define ethos as a 'way of doing things' and philosophy as a 'way of thinking' – everyball is both) it represented what the game of tennis in particular means to me and how, in turn, our aspiring young players might also learn to embrace it. So after several edits over the years, most recently in 2014, here is the philosophy of Everyball. We are committed to fight for everyball, to run down everyball and to play everyball with courageous purpose. ﻿We see everyball as an opportunity to explore our 'becoming selves,' our curiosity and our creativity. We know that everyball extends beyond our sport as we learn the fundamental life-skills that enable us to thrive in an ever-changing world. Are we going to commit ourselves to every day? Are we going to seize each day with courage and creativity? Are we going to enjoy the problems that every day throws at us and are we going to take every day as an opportunity to become rather than just be? Halton Tennis Centre (now Halton UK) has been the centre-piece of my working life having begun as 'Club Coach' way back in 1993. The wonderful leadership of the organisation over the last fifteen years, especially by three key people, Nick Leighton (CEO), John Walker (Chairman) and Gill Roe has enabled me, in partnership with a superb team of coaches led by my trusted lieutenant James Morgan, to develop 'Everyball Tennis' beyond a philosophy and into our coaching provider and brand, serving not just Halton, but a number of other clubs, schools and outreach centres where we touch upon two thousand plus customers per week. The philosophy of Everyball forms part of what we now call 'The Everyball Way' and I hope that you'll find its elements woven into the fabric of the book as the various reflections, anecdotes and observations unfold.